Seeing as how I have fallen wildly off publishing blogs and I have a half dozen, half finished blogs I have decided to publish something that has no depth to it. Literally! 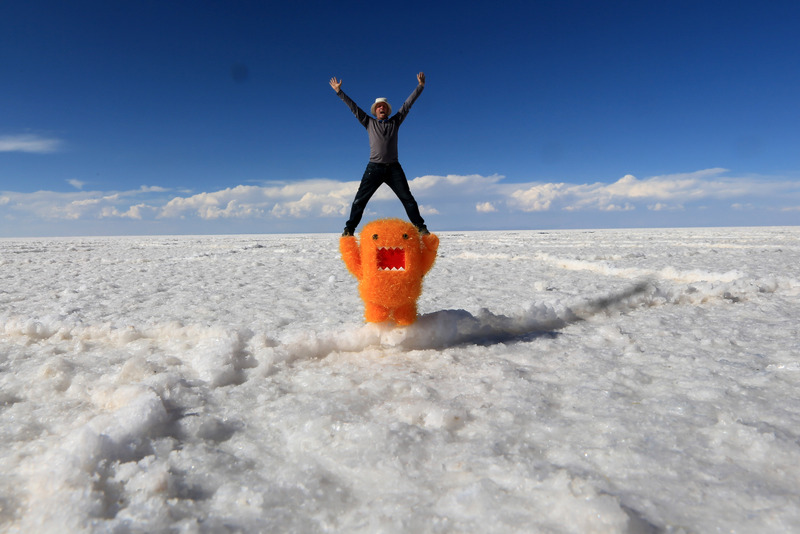 Mainly a photo blog but the back story is that high in mountains in the south of Bolivia there is a flat made of salt that takes a few hours to drive across. 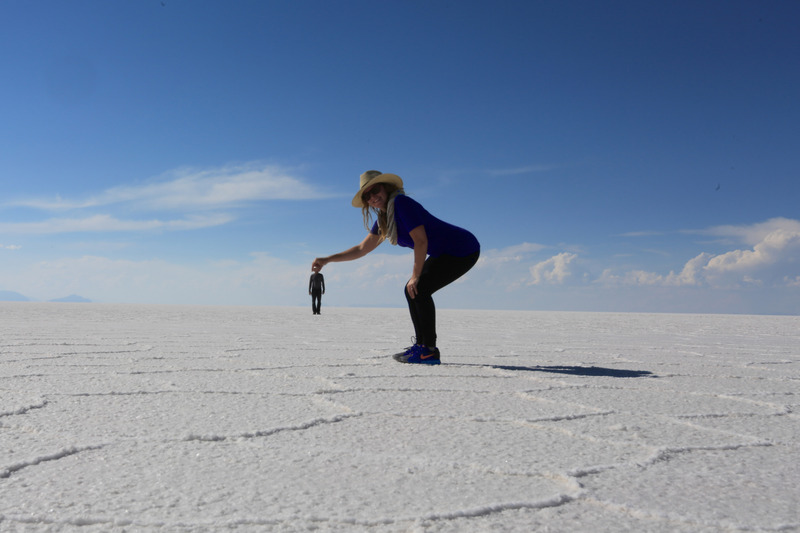 The white salt goes on for such distances that it allows for photoshop-less camera illusions. We took a 3 day tour in a Land Cruiser. We made a great group of new friends that I might go into more detail in a different blog post but again – this is more just to include these fun pictures. 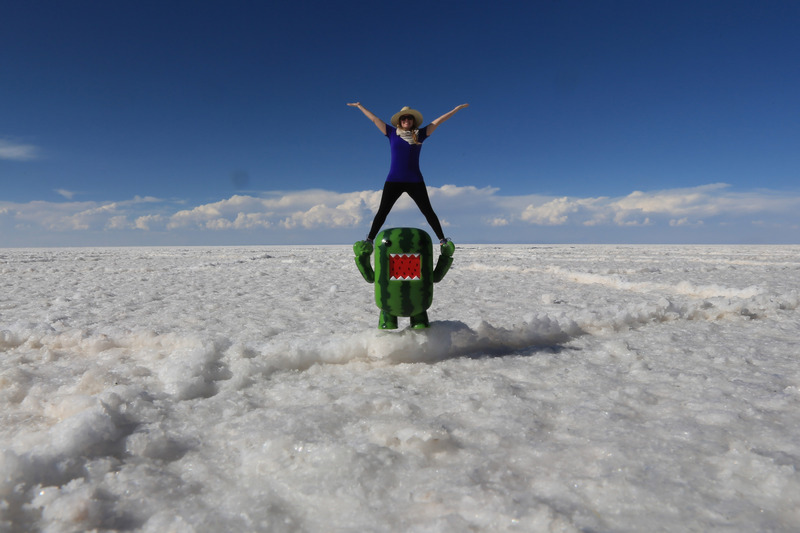 Our tour company out of the town of Uyuni was called Red Planet and the trip was a blast! This trip was about a month ago (April 2014!) we’ve done a ton before and in between. 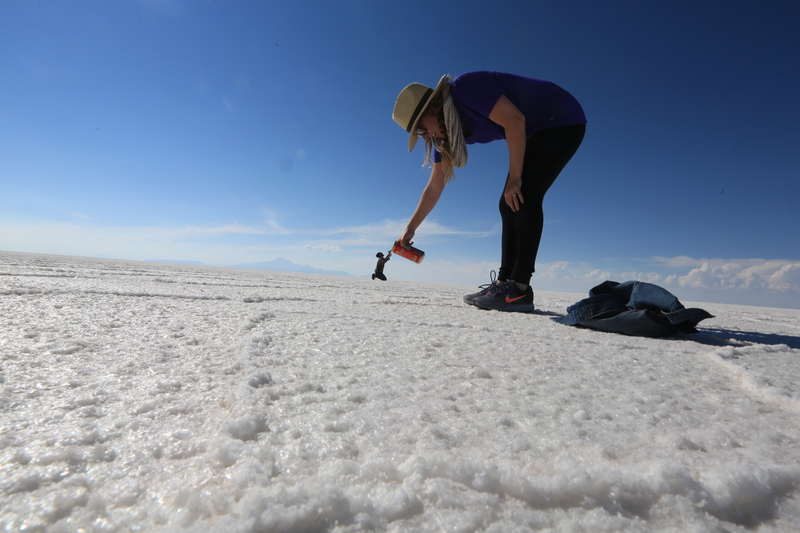 I’m hoping to publish a slew of blogs about all of the amazing stuff we’ve seen but The Curious Adventure is going great! 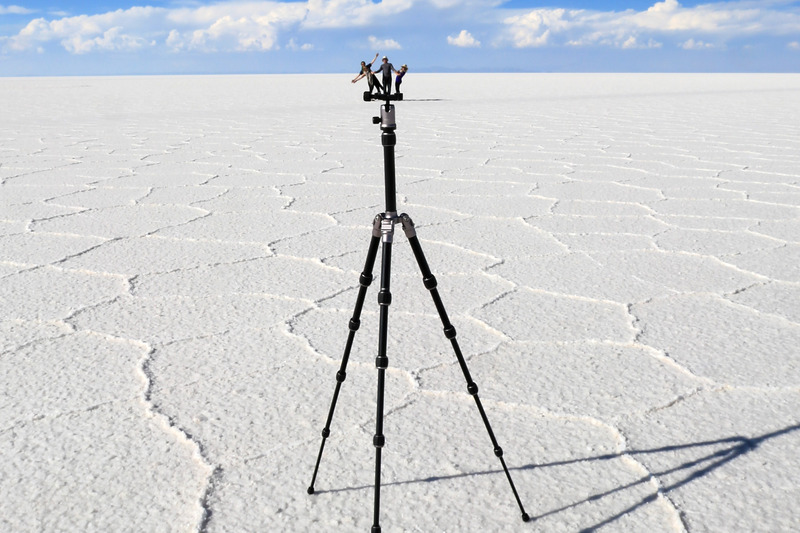 Keeping our balance on the tripod! Green Domo and Katie practicing! Click below for a gallery of the rest! Look for more blog posts soon! Nice! Looks like a great place to see. so glad you finally have time to publish some things! have been missing my dose of adventure. these pictures are funny! so did you glue them together later or have to plot them out and stage them as you took them? The latter – they were all taken live – I had some ideas and Adam (the guy with the beer) had some ideas too but we needed to set them up there. I wish we had more time there to do more shots but we only had about 40 minutes because the tour needed to move on! 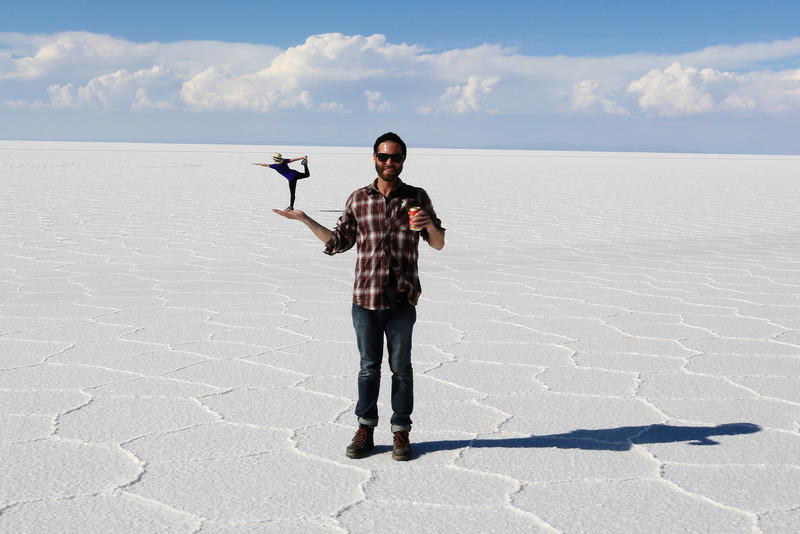 Got your salt and the postcard of Peru. Sounds like you are having a terrific time all around. We’ll be at the lake most of the Memorial Day weekend. Really Cool Camera tricks there! Love, W.
← The Gorgeous Salt Cathedral, Zipaquirá (Bogota) Columbia. Temporary blog copout.